Rank in the British army was often a fleeting thing, especially for the enlisted ranks. For the private soldier, the most frequent cause of promotion was often a matter of favoritism, or in the case of someone like Obadiah Hakeswill, it was gained through devious manipulation. 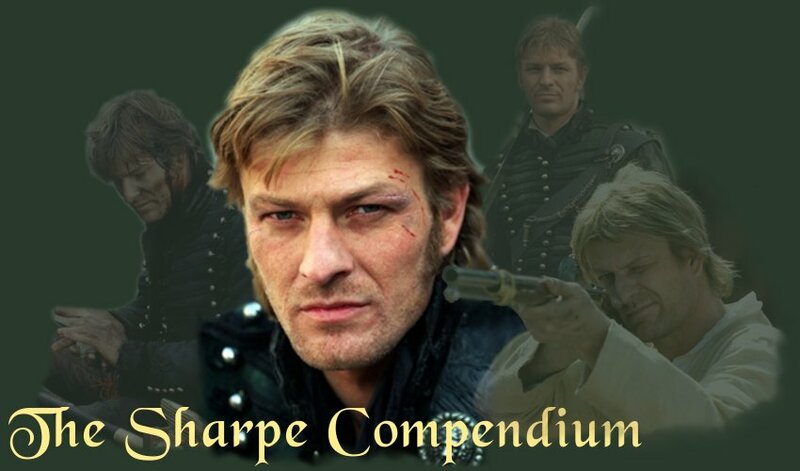 Once earned, an NCO would likely hold his rank until the time he mustered out unless he was fortunate enough to perform a heroic feat, like Sharpe did, or he proved worthy enough to step into a critical vacancy caused by battle loss. On the other hand, given the rate of alcohol consumption among the enlisted ranks, it was more likely that instead of promotion, an otherwise capable corporal or sergeant would be demoted. Sharpe was not immune to that particular trend. Being commissioned an officer from the enlisted ranks, while not looked upon favorably by the officer class, was not as uncommon as perceived. By the end of the Penninsular War, the officers in Wellington's Army that had come up from the ranks made up roughly 6% of the officer class. Within the 95th Rifles, that percentage was slightly higher as there was better opportunity to be promoted due to heroism or neccessity due to combat losses. In the Rifles, because soldiers had to be able to think and operate independently, there was more occasion for exceptional talents to be displayed and subsequently noticed. Sharpe, however, was most fortunate to have been promoted in India before he became a rifleman and long before the Penninsula took such a toll on the officers of the British Army. At this time in the British army a regiment usually only fielded one of its two battalions; the other battalion being kept at home for recruits and replacements (remember Sharpe's Regiment?) or behind the lines with the wounded. Some regiments did field more than one battalion (like the 60th and 95th Rifles) but this was rare. Battalion strength fluctuated pretty wildly, with companies having between 30 and 100 men (depending on losses and when the latest draft of replacements have arrived) and there being 10 companies in a battalion; 8 infantry companies, 1 grenadier company and 1 light company. The Grenadiers were the big, stupid folks, used for main assaults. The light companies were smaller, quicker and smarter men, used as skirmishers. Later in the war it was common to see one or two of the infantry companies also used as skirmishers due to the British army's experience in America which had exceptional skirmish troops. French voltigeurs weren't as effective because they never used rifles so their fire was not as accurate. American skirmishers did. Two to four regiments/battalions comprised a brigade. Two to four brigades comprised a division. The British Army did not use Corps until the Waterloo campaign but their corps were just overstrength divisions. Division strength throughout recorded history in virtually every army has been between 5000-15,000 men with 10,000 being the norm. "One officer in 20 (5.42%) [not 20% as suggested] had risen from the ranks apart from the ensigns of the veteran battalions who were almost always former nco's. Most of these promotions were for long & steady service. Some were the reward for specific acts of gallantry, such as Sergeant Masterson of the 87th who captured a French eagle at Barossa in 1811. Sergeant William Newman, of the 43rd, distinguished himself by rallying a knot of stragglers on the retreat to Coruna, who beat off repeated attacks by French cavalry.... Sometimes the promotion was a compliment to a regiment rather than specifically to an individual. Sergeant Donald McIntosh of the Cameron Highlanders was made an ensign in the Connaught Rangers to mark Wellington's 'sense of the good conduct of the 79th during the late engagement (Fuentes de Onoro)' "
In 1814 there were 10,590 officers on full pay. At 5.42% that is about 570 officers who came up from the ranks!! Another interesting point that he mentions is that in the Peninsular War less than 1 in 5 first commissions were purchased (19.5%). In the infantry it was it was less than 17%. In the cavalry it was 47% & in the Guards it was 44%! Lieutenants in their mid-30s during this period were certainly not unknown, and not all of them had been promoted from the ranks. Lieutenant Thomas Taylor, the 41st Regiment of Foot, and who was Fort Major at Fort George (Canada) in 1812, was 41 when he retired on his Lieutenant's half pay. His predecessor at Ft. George, Donald Campbell of the 90th, was 57 when he died, still a Lieutenant. Promotion up to the rank of Colonel was by purchase generally. Field promotions - when a Captian was killed for example - were used, but this had to be ratified by Horse Guards (Army HQ). Sharpe runs into this problem later in his career. Another twist in the British army at this time was that there could be administrative staff promotions locally, but the officer would retain the rank and pay of the HQ designated level. Thus, Adam Muir of the 41st could be called 'Major', for local reasons, but officially he was a Captain (Up from the ranks), and retired as such. The local reasons were that unlike the US army at the time, Regular officers outranked militia officers, so a temporary or local rank was assigned to regular officers to make it look as though they were senior. This was true in Muir's case. This muddies the water of ranks and promotions, but such was the system.